This thing has a lot of gain. It is loud and very easy to use. I think it's worth buying or trying. Amazing tone from this preamp. Had worked great with almost any guitar or vocal! It is Neve - no more words are needed!!! Sound perfect in every aspect , well worth it the money. ...I bought the V76. The Neve is a good solid preamp plugin and I would have continued using it regularly had I not discovered the V76 plugin. When comparing the Neve to preamp plugins I've used from other manufacturers, it would be a 5 star rating. Both the Neve and the V76 are well priced and great pieces of gear...do yourself a favor and pick-up both. Always nice to have different colors available in your palette. outstanding. indeed pure correctness, this mic preamp does wonders for me. using it on a mic channel seeing I don't sing too loud, this brings my vocal levels up were it need to be. I even put it on on my final level control on my individual channels. indeed works great. thank you uad. This is a great plugin to track vocals with. It’s not the 1073 with the EQ, but I use it with unison technology, a LA-2A, and a pultec EQ and it sounds amazing. Sometimes I will use it on my 2bus as well to just to give my mix some Neve warmth. Got this during a sale for $50, at that price it's hard to beat ! I love the simplicity and combined with other plug ins like the Pultec EQ and UA 1176, it's all that I need. Really like the sound produced by the Neve preamp and the simplicity of the controls. Highly recommended. 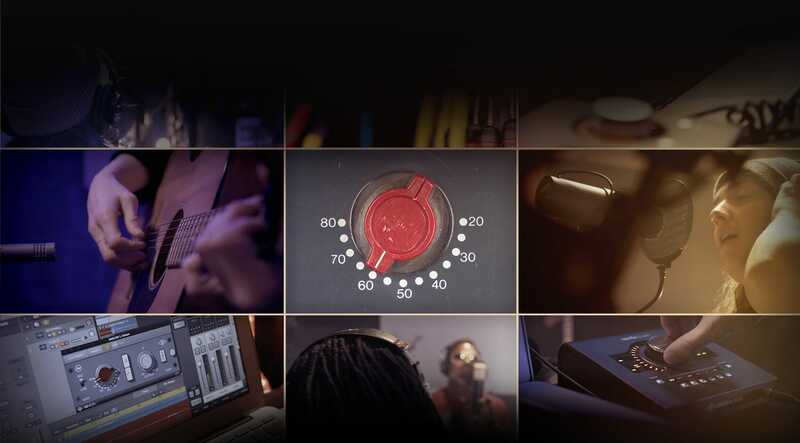 Have you been searching for that tool to bring your audio to the next level? Are you trying to emulate the sound of your favorite studio recordings, but just can't figure out what gives them their special sound? Activate the trial, slap this in Unison, hit the record button, never look back. This preamp plugin will give you the sound you've been searching for! With warm lows, strong mids, and soft highs with that touch of air, you'll hardly feel the need to EQ your track. If you've been searching for that big studio sound: Start. Here. You won't be disappointed. As soon as I put this preamp on in the UAD unison mode in the console and recorded vocals into my mic (AT 4050) I purchased it 5 minutes later. This preamp makes anything going through it sound incredible. I find just this Neve preamp sounds a bit smoother and warmer than the full blown 1073. Put this with the Neve 88RS and or the 1176 and you have digital GOLD! Very good plug .It make the job .